This mélange of hymns reminds us of the assurances of God and His eternal covenant of grace with His children. 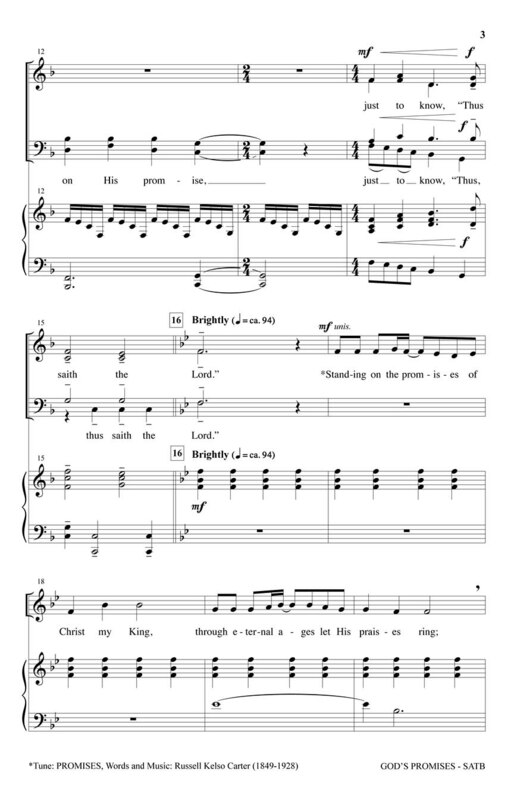 Hopeful and filled with recognizable tunes; this mini-medley will endear itself immediately to the people of faith. 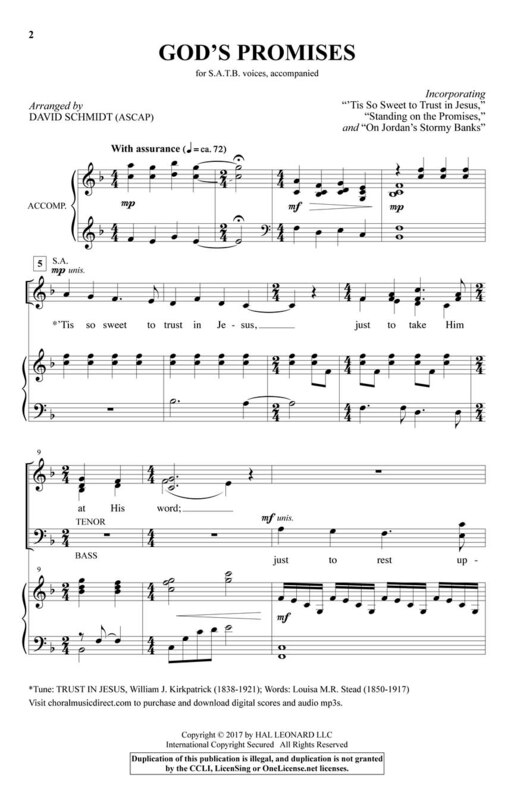 Compelling arranging characterizes the approach with the vocal writing; while the piano part provides a sturdy foundation; all coming together in this praiseworthy concept! Songs include: 'Tis So Sweet to Trust in Jesus; Standing on the Promises; On Jordan's Stormy Banks.